COMMERCIAL UNIT - with potential to serve a variety of uses: hairdresser, office, accountant. 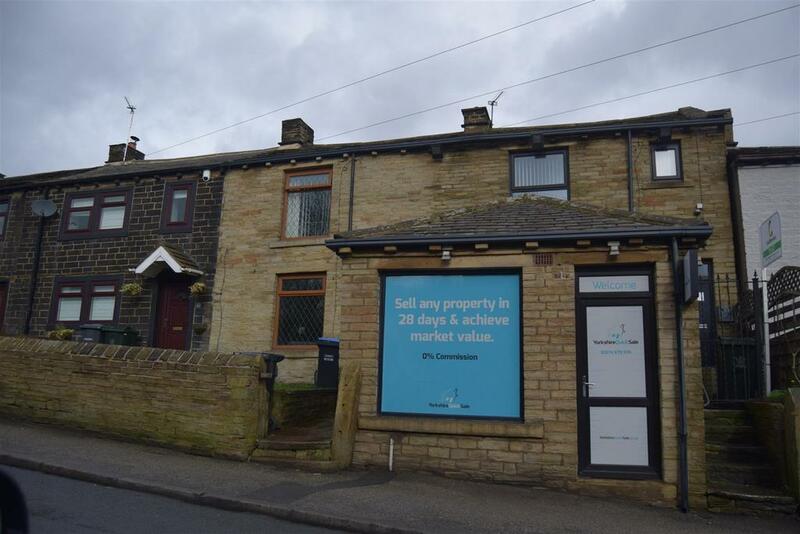 Communal entry from front and own door inside opens to large office , with kitchen (no disabled access), upstairs another 3 rooms/offices with bathroom.Located in the well regarded Wibsey village. Close to offices, shops. Property reference 28602185. The information displayed about this property comprises a property advertisement. OnTheMarket.com makes no warranty as to the accuracy or completeness of the advertisement or any linked or associated information, and OnTheMarket.com has no control over the content. This property advertisement does not constitute property particulars. The information is provided and maintained by Ludbrooks - Halifax. Please contact the selling agent directly to obtain any information which may be available under the terms of The Energy Performance of Buildings (Certificates and Inspections) (England and Wales) Regulations 2007 or the Home Report if in relation to a residential property in Scotland.